Bangtao Beach Gardens - Holiday In Paradise. Bangtao Beach Gardens is located on Bangtao beach, a magnificent, 8 kilometer-long crescent shaped bay with pure white sand, fringed with Casuarina trees. 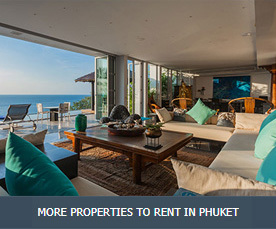 Bang Tao is one of Phuket's longest, least developed and most beautiful beaches. Firstly review the apartments we have available. Families might consider the Garden Terrace Apartments which provide the kids with easy access to the pool. Singles and Couples might prefer the added privacy of the second floor with its views over the gardens and pool. Honeymooners or party people might prefer the privacy of the rooftops with their rooftop Salas and in some cases private Jacuzzis. These rooftops are wonderful on balmy nights where you will find only a blanket of stars for company. Once you have selected an apartment, simply fill in our enquiry form which asks you basic questions such as number of people and the frequency you require maids and laundry services. Hit the send button and within minutes one of our representatives will reply to you with rates. If agreeable, you will need to secure your unit by the transfer of a 50% deposit. The balance of your payment is required on the day of arrival. We will arrange everything else. We will be waiting on arrival at your apartment with a welcome pack, home orientation and local information. 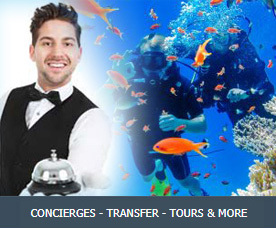 You will be given a number in case of emergencies and we will check in on your from time to time to make sure everything is perfect for your holiday. Bangtao Beach Gardens has a sister development, Casuarina Shores, located nearby. Occasionally we are asked by customers which would be a better choice. Both developments are built to the same high standards. Both resorts offer family pools, lap pools, a gymnasium, a sauna and a club house. 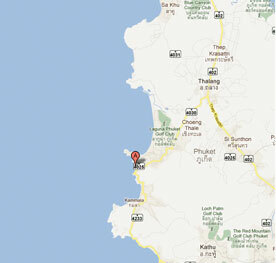 Bangtao Beach Gardens is closer to Surin Beach and situated on the very South of Bangtao Beach. 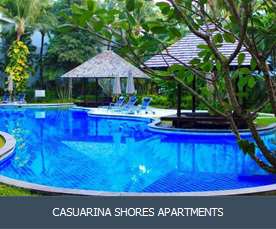 Casuarina Shores is located approximately 3km North is closer to the Laguna Hotel Complex, Supermarket and Night Market. 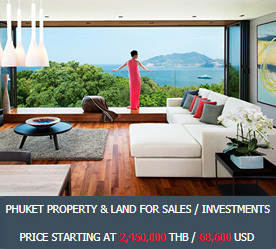 Bangtao Beach Gardens' apartment blocks are built on three floors accessed by a stairway. Casuarina Shores are built on 5 levels accessed by an elevator. The Casuarina Shores' Apartment Complex was built more recently and as such the floor areas / terraces and balconies for each apartment are slightly larger.